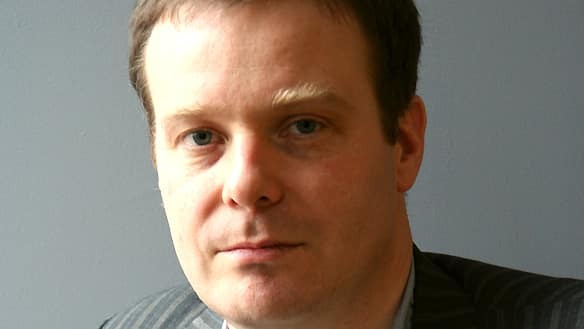 Tom McCarthy has gone from being a writer who endured rejection from the major publishers (but then found a cult readership through the publication of his debut novel, Remainder, by a Parisian art outfit) to one given something like mainstream acceptance after being included on last year's Booker Prize short list. As someone with a particular interest in one of his major themes I was very pleased to have the opportunity to ask him about his work and the idea of authenticity. My reading of Remainder couldn't help but be hugely influenced by the fact I'm an actor. I was fascinated by the ideas of authenticity and repetition, especially as repetition can be the very enemy of authenticity when performing a long run onstage. What attracted you to those themes and what were you hoping to say in writing about them? Repetition is the enemy of authenticity indeed. Authenticity is a pernicious meme that needs to be dismantled brick by brick, and repetition has always been a battering ram well-suited to the task. Repetition is beautiful, lyrical and seductive. It's the basis of all poetry. I have to ask, have you seen 'Synechdoche, New York' and what did you make of it (and its similarities to Remainder)? I haven't seen it I'm afraid. I haven't seen that either... But Dennis Hopper's 'The Last Movie' is great in this respect. And so is Tarkovsky's 'Solaris'. The theme of authenticity runs through your work; the art forgery of Men in Space, the parodic work of the International Necronautical Society and even the sale of 'genuine copies' of their documents. Is it likely to remain a recurring motif in your work? I'm interested in doubles, forgeries, mediations and displacements of all kinds. I imagine they'll continue to feature, although hopefully mutating as the books progress. You have said in previous interviews that you are influenced by writers such as Blanchot, Derrida, Beckett.... With such strong influences I might ask another writer if they have ever worried about escaping those influences to assert the authenticity of their own voice but I don't think you're that kind of writer. How would you describe the authenticity of your work? I'd never use that term. Literature is about modes of inauthenticity, and always has been - look at Hamlet or Don Quixote if you doubt this. I'm influenced by lots of other writers, as were all those other writers themselves. My voice was never mine in the first place, and I'd never want to make that claim.. I'd like to think I'd built some good echo-chambers though. You haven't much time for the 'sentimental humanism' prevalent in a lot of fiction. Could you explain what you mean by that? I mean a cultural ideology that posits the self as the origin and source of all experience, and language as a tool for self-expression. It's a reactionary dead-end. It's the default ideology of almost the entire cultural industry (visual art being a notable enclave of exception), but all good work subverts this in some way or other. There tends to be a fair bit of it on fiction prize shortlists. C was nominated for the Booker last year. What was your experience of being part of that bandwagon? The ice-cream desert at the dinner was very good. Do you have any thoughts on this year's recently announced longlist? You're asking the wrong person: I've never read a novel on the Booker list in my life. What are you working on at the moment and how does it fit in with the rest of your work? I'm working on a book about pollution and mutation. It will end in a zombie parade. I'm interested in the insistent return of the material, and the dead. Is there an underappreciated book that you would like to recommend to readers of this blog? 'The Adventures of Mao on the Long March' by Frederic Tuten. I always ask my interviewees to 'do a Hemingway' and write a story in just 6 words. Would you have a go? 'C' is now available in paperback. I've read a few of McCarthy's interviews and he does tend to come across as a bit of a zealot. Never to have read a single Booker listed novel? I would have thought if one read much one would even if only by accident. Avoiding modes of art is nothing to be proud of. And yet. I've read (and reviewed at mine) Remainder and it's excellent. It stays with me long after I finished it and I'm looking forward to reading Men in Space. The story of how Remainder came to be published is fairly well known now and is an indictment of conservatism in publishing. There always seems an element of manifesto in McCarthy's words outside his books. It'll be interesting if anyone picks up the challenge of that manifesto. If they do we should get some interesting books, but naturalism will remain the default. Well, this is getting stream of consciousness, which while perhaps arguably fitting is also in this context a bit incoherent. Nice interview Will. Thanks for the comments Stu and Max. McCarthy isn't easy! Like you Max I loved Remainder and still think it is a genuinely brilliant book. I've admired rather than enjoyed what he's written since and yet I'm still clamouring to read what comes next. I feel fairly alienated by the manifesto style pronouncements and cultural/philosophical influences because I have no real understanding of them and so I would love to see someone grapple with them properly rather than just dismiss them in the comment sections of the Guardian. Then also perhaps as you say Max others might pick up the challenge of that manifesto. He remains an always interesting writer though. See his book on Tintin for evidence of that! I went to the Vorticist's exhibition today at Tate Britain, so I have manifestos in mind. Reading this did remind me of that though. McCarthy's pronouncements always seem like calls to arms, but calls nobody answers. Well, writers like Lee Rourke perhaps. We'll have to see what direction he goes in. Certainly he's very much a McCarthy enthusiast. I've yet to read Stuart Evers but my impression is that his work is in a much more Carver-esque vein which is interesting (and I plan to read Evers) but it's a very different approach. I reviewed a Josipovici novel recently. Have you read anything by him? If not it's worth doing. On a similar note the Ann Quin novel I wrote up was excellent (another big Rourke inspiration, though their writing is very different). quoin though was one of a tiny handful of writers in the '60s. They inspire, but only ever a handful of people. I doubt modernism will ever be a dominant force. Of necessity it lacks the comfort that most people read for. Thanks for the Tintin review link. Interesting that you should mention Rourke and Evers. I managed to have a chat with both of them in person recently and it was funny to hear them good-naturedly mocking each other and McCarthy too. Stuart Evers was mocking Lee for mentioning Samuel Beckett within three minutes of meeting (Rourke says he sees the world through Beckett's eyes) and was mocked back for having recently written a very modernist story, miles away from what he would usually write, whilst laid low with some illness. Both had some fun about McCarthy's manifesto tendencies. I think you're spot on about their influences though. I have had one failed attempt with Josipovici, Heart's Wings: and other stories, I felt like I was reading writing exercises but Steve Mitchelmore of This Space keeps encouraging me to try again and I certainly will. The Josipovici I wrote up (as well as What Ever Happened to Modernism?) was Everything Passes. A tremendous book. He's a highly under appreciated writer. I mentioned Rourke and Evers because they're sometimes seen as part of the same movement, though really it seems truer that they just know each other than that they're engaging similar themes. I need to read Evers before commenting further really. The biggest influence on Rourke based on The Canal would appear to be Ballard rather than Beckett. Steve Michtelmore is very passionate about Josipovici, rightly so. Interestingly he's the dedicatee of Everything Passes. Quin is worth reading. It was Lee Rourke that alerted me to her work. I reviewed Berg at mine and was very impressed by it. I definitely plan to read more. What I do like about the manifesto element of McCarthy's work is that it can act as a spur into action. I've read Rourke, Quin, Josipovici, I have a Beckett coming up soon. There is something exciting about this fictino and if it takes a rather irritating set of questionable assertions to get me to read them then the assertions are perhaps doing their job. I'm in complete agreemtn with Max on this one. I haven't read any of McCarthy's work but he comes very highly recommended. Yet his interviews all seem to read like something out of American Psycho. I've read and enjoyed C.
On another note, "I've never read a novel on the Booker list in my life.".. a bit pretentious, no? As someone else pointed out, you'd think any keen reader would have read at least one by accident if nothing else.